At Mister Kleen “Green Kleening” is a Standard, Not an Option! 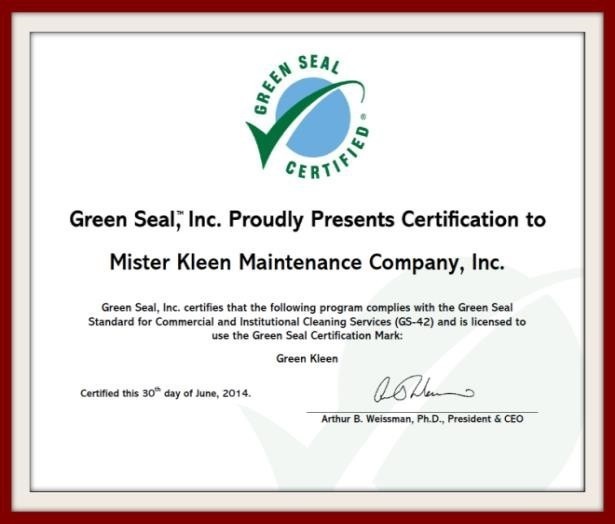 Mister Kleen is Green Seal (GS-42) certified! Green Seal is an independent, non-profit organization that identifies and promotes products and services that reduce pollution and waste, conserve resources and habitats and minimize global warming and ozone depletion. We are also a member of the U.S. Green Building Council (USGBC) and have the experience in guiding our partners seeking the highest levels of Leadership in Energy and Environmental Design (LEED) to promote sustainability for a better environment. This cleaning service meets Green Seal™ Standard GS-42 based on waste minimization, building-specific operational procedures, effective custodial training and use of products with limits on human and environmental toxicity. GreenSeal.org. What Makes Mister Kleen Better Than The Rest? Being green is more than just using products that are better for the environment. It is also about the processes a company uses like our microfiber management program. Most importantly, it is a commitment to a cleaner environment and keeping our employees and your tenants healthier. 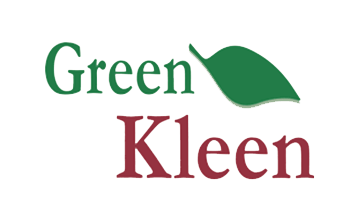 Mister Kleen will create a Green Kleening Program specifically tailored to meet your facility’s needs. Our employees undergo an extensive training process following the guidelines as set forth by the Green Seal Standard 42 (GS-42). We provide the newest in cutting-edge, environmentally conscious processes and products including the OxySmart Controlled Dispensing System. We Are “Green Kleening" Your Community One Building At A Time.